Many of your clients may have a ticking economic time bomb in their portfolios, one that they are completely unaware of. That’s the bad news. The good news for you as a family adviser is once you know that 23% of existing non-guaranteed life insurance policies are expiring prematurely, you can help your clients prevent or mitigate what can be a big problem. According to author and life insurance authority Henry Montag CFP, as many as 45% of life insurance policies are non-guaranteed policies. The life insurance premiums currently being paid may not be sufficient to keep the policies in force during the person’s normal life expectancy. In Montag’s experience, 23% of all non-guaranteed life insurance policies right now are in danger of expiring prematurely. The individuals who bought the policies mistakenly believed that life insurance was a set-it-and-forget-it asset. They were counting on these policies to cover estate taxes or long-term health care costs, or to leave their loved ones with an insurance estate. They, or their sons and daughters who are acting as amateur trustees, never knew they needed to monitor the policies’ premiums in the face of changing economic conditions. To see how this plays out in actual practice, let’s take the case of Peter Smith (not his real name). Twenty-five years ago, Smith purchased a $5 million policy. In Smith’s case, he was counting on it to pay his estate taxes so his son could continue the family business without being subject to income or capital gains taxes. Smith was also counting on the policy being in force until he was 90 years old. However, as is likely to be the case with many of your clients, Smith acted as if life insurance was a “Buy & Hold” asset rather than a “Buy & Manage” asset. For tax reasons, he put the policy in an ILIT, an Irrevocable Life Insurance Trust, with his oldest son as trustee. Having done that, Smith barely even thought of his insurance policy for the next quarter century. However, as happens with almost all family members who are amateur trustees, his son George was under the misimpression that he could simply place the insurance policy in a file drawer and forget it. Other than paying the annually-billed premium he received from the insurance company, a premium that had been determined 25 years earlier, Smith’s son simply neglected to pay any attention to its performance. Further, George assumed that any important communications would be initiated by the broker and the insurance company. However, as often happens, the broker didn’t remain in touch with Smith once the initial transaction was completed. According to John E. Schlifsky, Chairman and CEO of Northwestern Mutual, that’s likely to be the case with the majority of your clients as well. “Frequently neither the client nor the trustee has any relationship with the person who sold the policy to them.” Schlifsky then goes on to explain that since the broker’s compensation was almost entirely paid during the first year of the policy, the broker has minimal incentive to maintain a relationship. For most policy holders, there will be no further contact. There’s no guarantee as to the duration of the coverage period. Smith thought he was buying a policy that would last until at least age 90. In fact, due to changing interest rates, his policy is due to expire when Smith reaches 83 next year. The policy would need active management with regard to changes in the amount of coverage, the premium cost, and the duration of the coverage period. The policy was not the set-it-and-forget-it asset that Smith assumed. Smith’s trustee would be taking on considerable legal liability for an area where he had no training or even awareness. For all the above reasons, when purchasing the policy, Smith and his trustee had some serious gaps in their knowledge of the insurance part of Smith’s portfolio. Actually, the gaps were more than serious. As we’ll see, these seemingly small gaps have upended Smith’s entire financial strategy. Today, at age 82, Smith has just made a chilling discovery. He’s learned that without a 35% increase to his premium, his life insurance policy will no longer be in force when he turns 83. When he bought the policy 25 years ago, interest rates were at 13%. Today they’re 2%. In this case, his insurance policy premium would need to be raised 35% to make up for the years of reduced earnings and the years of neglect when the premiums should have been raised. At this point, Smith faces seriously unpleasant choices. He can let the policy expire next year, but if he does, he’ll lose all the premiums he’s paid over the last 25 years. Smith also realizes that unless he agrees to increase the premium required by the insurer, his children will not receive the life insurance legacy he allocated to them, nor will they benefit from the 25 years of premiums that he’s already paid. Alternatively, he could pay tens of thousands of dollars in additional annual premiums to keep his particular policy active. In theory, that’s what he should do. In practice, however he doesn’t have the cash flow to afford that. Nobody had ever warned him about the possibility of inadequate increased premiums; he didn’t prepare for this and to his dismay, he is unable to put his hands on the money he’d need to pay the increased premiums. Because of the unexpected changes in interest rates and neglect on the part of the owners, many people are finding themselves in the same situation Peter Smith faces. Montag estimates that as many as 45% of life insurance policies are non-guaranteed policies. The life insurance premiums currently being paid in many cases may not be sufficient to keep the policies in force during the person’s normal life expectancy. In Montag’s experience, 23-25% of all non-guaranteed life insurance policies currently in force are in danger of expiring prematurely. Unfortunately, in many cases neither the insured/grantor, the beneficiaries, or their advisers are even aware that this problem exists. Don’t expect either the insurer or the agent to manage the insured’s policy. Montag states that it is indeed possible that the insurer and insured’s economic interests may not always be aligned. In cases where the policy lapses, the insurer can retain the money already paid without ever having to pay out a death claim. It’s the sole job of the owner in the case of an individually-owned policy and the responsibility of the trustee in the case of a trust-owned life insurance policy. 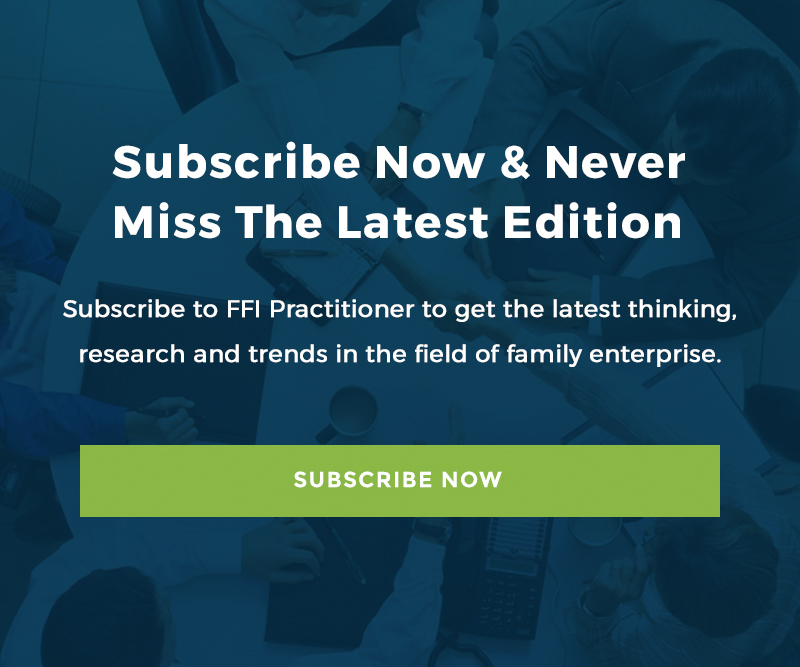 As family business advisers, help your clients avoid the Peter Smith scenario. Ask questions, and if necessary, alert them to the potential problem with their life insurance policy. You may need to direct them to seek accounting or legal advice as well as advice from an independent fee-based life insurance consultant. By being proactive, you may be able to save them from a world of unexpected financial pain. Mitzi Perdue is the author of How To Make Your Family Business Last: A Treasury of Checklists, Templates, Resources, and Tips. She is also a professional public speaker and businesswoman. Visit her website, www.MitziPerdue.com or e-mail her at [email protected]. She wishes to thank Henry Montag CFP, CLTC at [email protected], and www.thetolicentereast.com for his helpful advice on this article.